Here is the body of PA Consulting Group’s Case Study on the Design… fascinating read. 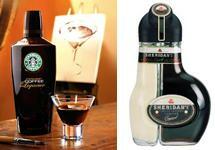 IDV (Grand Metropolitan), now UDV Diageo, the global drinks company, had conceived and tested a radically new two-part product in the international drinks market – Sheridan’s Perfect Pour. Whilst the brand had stimulated market interest worldwide, and gained international recognition as the most innovative drinks packaging for many years, customer feedback on pouring the drink from two separate but joined bottles was not good. IDV was determined to make a success of the brand, and PAConsulting Group was given the task of designing and developing a new ‘fool-proof’ onestep pouring system within a twelve month timescale to meet a Christmas launch date. • Difficulty in floating the white liqueur over the black (a very steady hand was required). The perfect solution The first phase of PA’s design work established the feasibility of dispensing both liquids simultaneously, in the proportion required, in two separate layers. The viscous qualities of both fluids were considered, and also the control of the return air flow. Finally, the closure mechanism had to fit on to two joined bottles and meet the usual consumer requirements for liquid-tight sealing and ease of use. The detailed design stage presented some complex problems which were solved using state-of-the-art surface modelling on CAD, eg establishing the 3-D geometry of the pouring channels and defining the surface shapes of the cap covers. Rapid prototype techniques were used to test the design and to ensure the product pouring behaviour was as predicted. Finally, the design for manufacture was examined so that the relatively complex closure mechanism could undergo swift market testing. A successful product launch PA’s development work quickly enabled IDV to gain sufficient confidence in the design to invest in the manufacture of the prototype tools for plastic injection moulding. Samples from these tools were used in production, and extensive market testing followed. Once the design had been proven, fullscale closure manufacture was started and a programme of further design evolution and cost reduction began.